Join our Experience Israel Tour 2017! 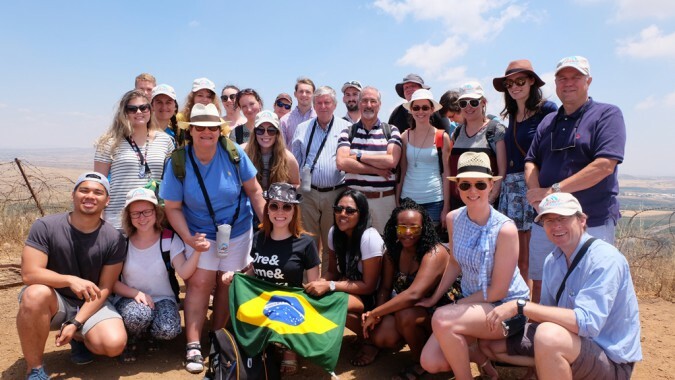 9-21 July – Thirteen days in Israel that will change your life! Price includes: registration, shared accommodation, all meals, entrance to all sites, educational materials, tips to guide and driver. Price excludes: travel to/from Israel, insurance, visas (where applicable). All participants must book their own flights. Please schedule your arrival for the 9th of July. We will meet each other at Ben Gurion Airport at 6 PM and drive to Givat Yearim together. If you are planning on flying out of Israel immediately following the tour, please schedule your departing flight for the 21st of July after 12 PM: any earlier will not allow you enough time to get to the plane!